This candy cane literacy game is a fantastic way to get children involved in letter recognition. 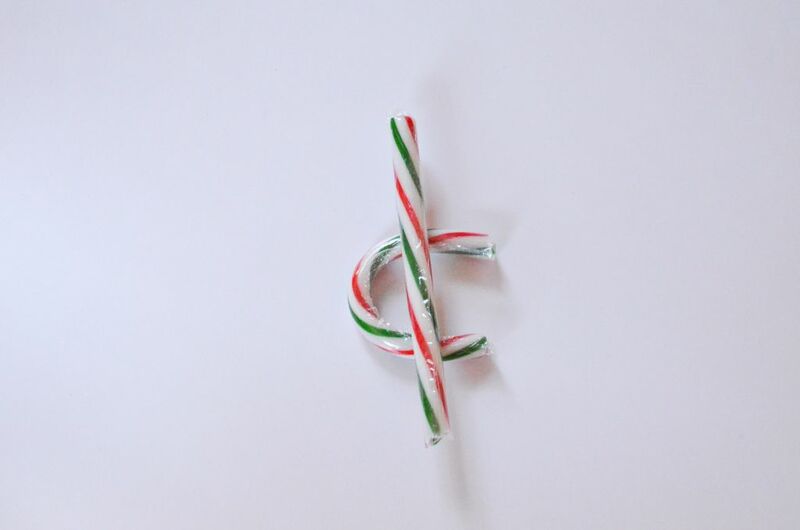 It’s so fun and easy, and we love doing it each year! Easy is heavenly in my book! 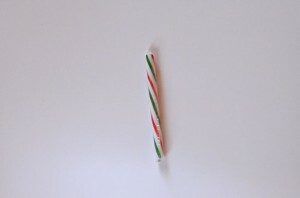 Our most recent invention involves just three candy canes. No mess, no hassle, no preparation — just open ended learning and fun! 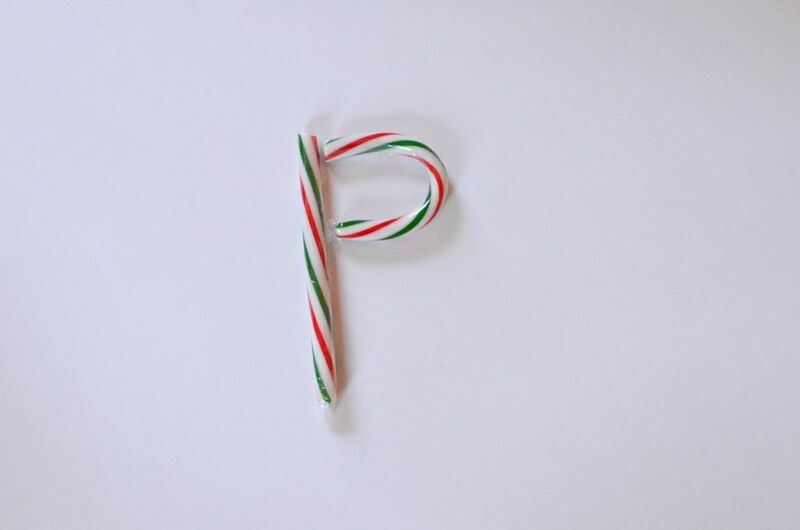 With three mere candy canes (which I left in the wrapper), I started making letters. Quickly it became a game! I would make a letter and they would call it out. So here’s my favorite part: I handed the reigns over to my class! Yes, they are so incredibly creative, and I was super excited about what they would come up with!! Of course they did not disappoint. Isn’t this brilliant? Yes, a four year old figured out how to do this without an inkling of help!! It’s the letter l or I and the number 1. Don’t you just love how confusing English is :). 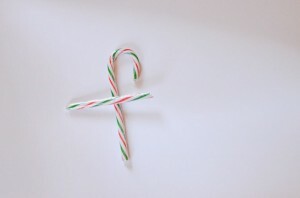 I am most proud of this one because it is a symbol. It just goes to show that our Word Windows are super effective in helping teach literacy! First, this was a shepherds staff, then they transformed it into an ‘f.’ I am all about allowing freedom in our activities since it keeps their interests and even gives me a greater glimpse into more of what is going on in their brilliant little minds. I’m actually even missing a picture of their letter ‘J,’ but I wanted them to have the due credit for making it! 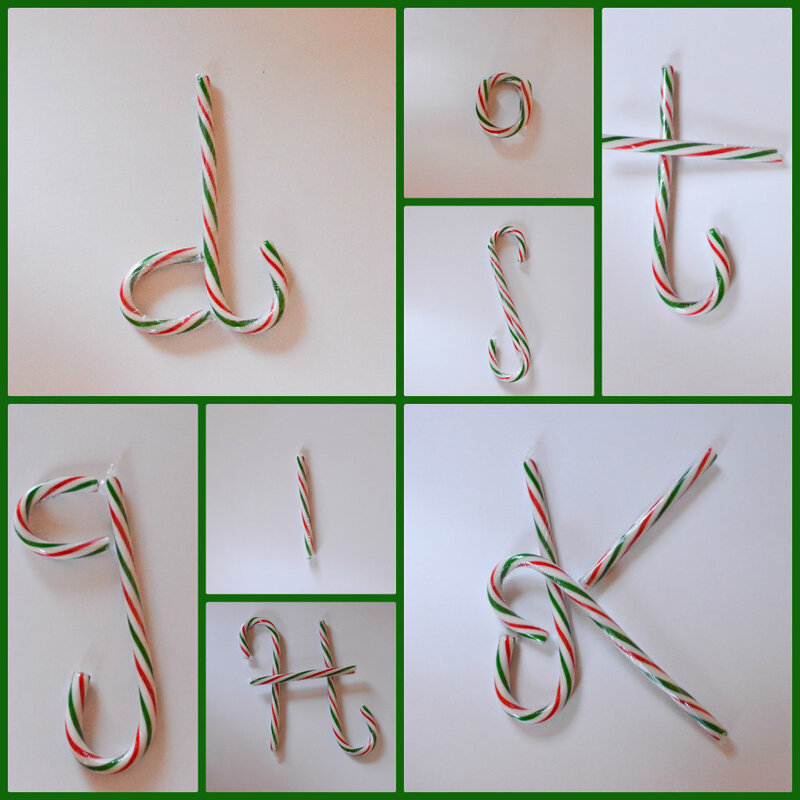 We made 23 letters in all. 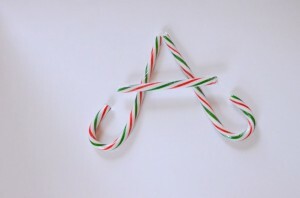 I have since figured out how to make all the letters in the alphabet if you break the candy canes a little differently. 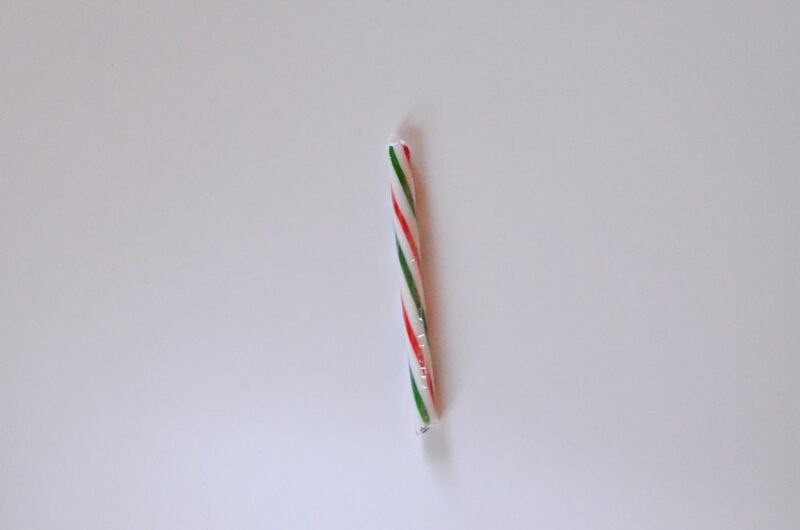 We kept all the candy cane pieces in the packaging to make sure they didn’t get sticky (or become too tempting). Well this game is for sure a keeper!! 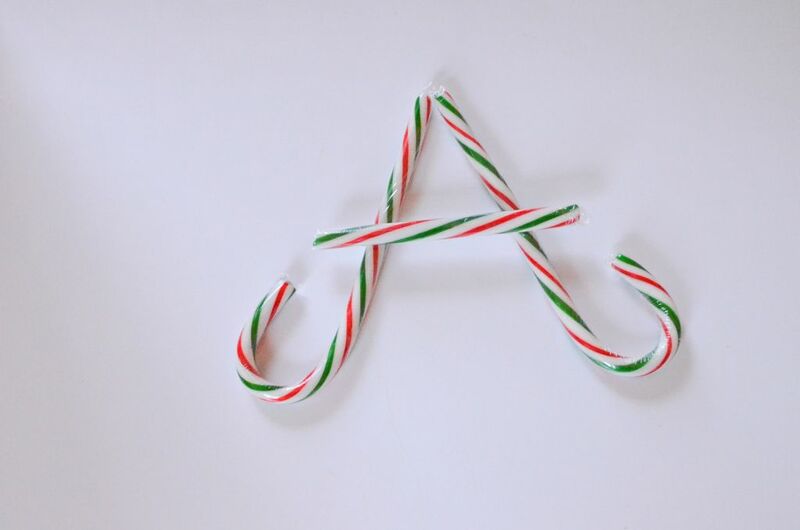 We are all about learning through play here as it is the most effective form of learning, and letters are by no means an easy concept to grasp. 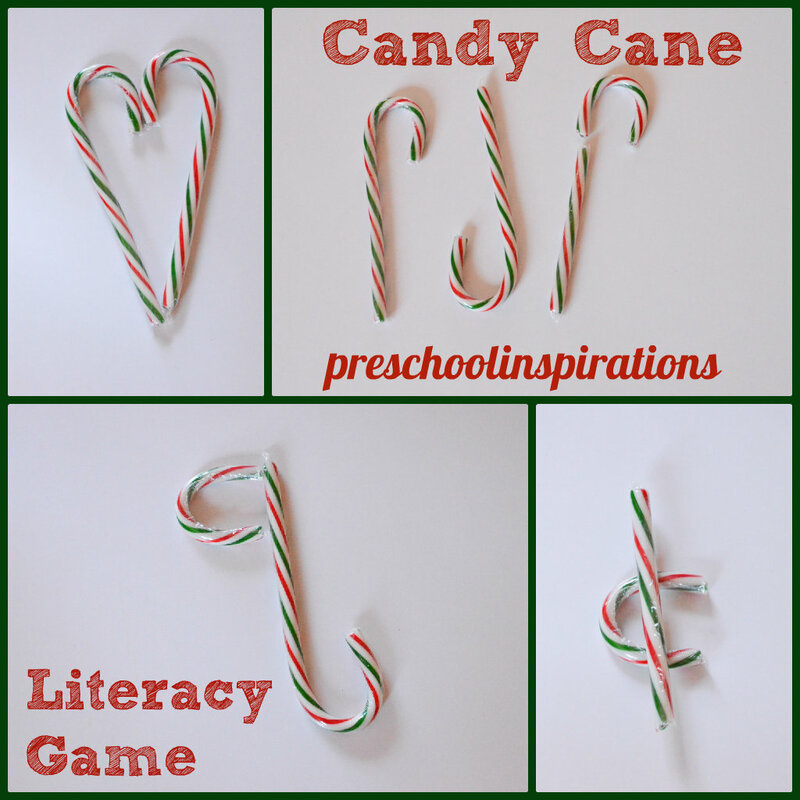 I hope you get a chance to enjoy this super fun literacy and letter learning game, and you might end up being pleasantly surprised as well!